SCI Social Capitalist Luncheon Coming Up Soon! Submitted by Candice McLaughlin on 03/31/2013 - 3:01pm. SCI is quite excited for our biggest annual event coming up on Wednesday, April 3rd, the SCI Social Capitalist Luncheon! We will be honoring outstanding Boston area community leaders including our Idealists, Josh Kraft, Nicholas President and CEO of the Boys and Girls Clubs of Boston and Robert Lewis, Jr., previously VP for Program at the Boston Foundation and currently working on starting his own nonprofit called Home BASE. We will also be recognizing several Community Social Capitalists including State Representative Jim Dwyer (serving Woburn and Reading). A Community Social Capitalist is a volunteer who impacts the lives of others by leveraging their personal and professional network to make a difference. If you would like to purchase a ticket to this event, we still have a few left! Click here for a link to purchase tickets. This event is a great opportunity to network with over 300 business and community leaders and to get inspired! If you can't make it to this event, follow all the live action on Twitter using #SCImpact. 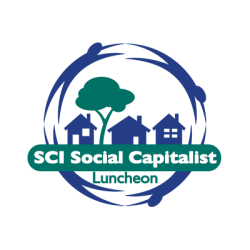 Join SCI for our Social Capitalist Luncheon! Submitted by Candice McLaughlin on 03/13/2013 - 11:48am. SCI would like to extend a sincere thank you to Bill Sullivan, Financial Advisor for Edward Jones, for recently joining us as a Gold Level sponsor at our annual SCI Social Capitalist Luncheon. This event will take place on Wednesday, April 3 from 12-1:30PM at the Sheraton Boston Hotel. SCI President David Crowley remarks, "I am thrilled to have Bill join us at this leadership level for our biggest annual event. Having an outstanding, philanthropic business leader like Bill supporting the event makes a big difference." The Social Capitalist Luncheon brings together over 350 business and community leaders to recognize outstanding leaders who exemplify SCI's mission. The SCI Idealist Award is presented at the Luncheon to leaders who dedicate their lives and engage their social capital to address some of the most pressing needs in our community. This year's Idealist recipients will be Josh Kraft, Nicholas President and CEO of he Boys and Girls Clubs of Boston, and Robert Lewis, Jr., who recently left his Vice President position at the Boston Foundation to start Home BASE, a nonprofit dedicated to using sports as a vehicle to engage young boys and men in Dorchester, Roxbury and Mattapan. SCI will also present the Community Social Capitalist Award to outstanding community leaders who impact the lives of others by leveraging their personal and professional network to make a difference. As a Gold Level sponsor, Sullivan had the opportunity to nominate State Representative Jim Dwyer to be presented with a Community Social Capitalist Award, which Rep. Dwyer will be receiving at the Luncheon. RSVP for SCI Social Capitalist Luncheon! Submitted by Candice McLaughlin on 02/27/2013 - 11:18am. Don't miss your chance to attend the 2014 SCI Social Capitalist Luncheon held at the Sheraton Boston Hotel on Wednesday, March 26! SCI will be honoring outstanding Boston area community leaders including Charlie Rose, Senior Vice President and Dean of City Year and Kevin Washington, President and CEO of the YMCA of Greater Boston. The SCI Luncheon is a great opportunity to network and get inspired! Get your tickets by Tuesday, Feburary 25 to guarantee a seat at this event! To purchase tickets and for more information about this event, please click here. Volunteer Opportunity of the Week! Submitted by Candice McLaughlin on 02/20/2013 - 10:36am. The SCI Social Capitalist Luncheon is being held at the Sheraton Boston Hotel on Wednesday, April 3. We are currently searching for volunteers to help at the registration table. This is a great networking opportunity, with nearly 400 Boston business professionals in attendance. All volunteers will receive a FREE TICKET to the luncheon! For more on this year's SCI Luncheon, please click here. Please contact Karen Rice at krice@socialcapitalinc.org if you are interested in volunteering for this event.